November 30, 2018 — Comments are off for this post. Hammerson used the Bluefox solution to measure traffic for a special art exhibit in its Nicetoile shopping mall, in Nice, France. Hammerson has begun presenting art exhibitions in its shopping malls to boost traffic by promoting art and culture to visitors via interactive experiences. 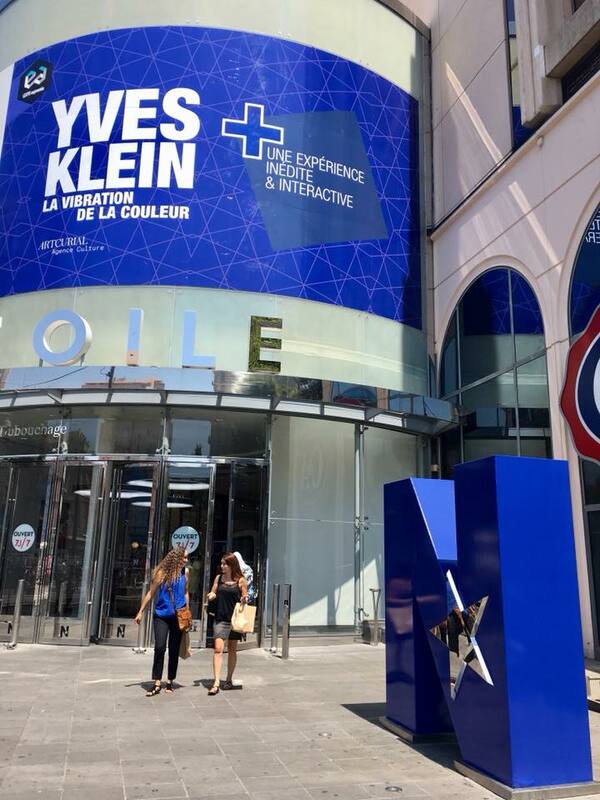 In summer 2018, Nicetoile held an exhibit of the late artist Yves Klein’s classic post-war European paintings, reimagined via augmented reality. The company needed detailed audience data to measure the success of the exhibit. BlueFox mobile phone detection technology provides a simple, cost-effective solution.